Your home town doesn’t always have to be where you were born. It can be where you have lived the longest or somewhere that you have some kind of permanent tie to. I generally consider Cowra as my home town, as it’s where I lived for 15 years before moving to the Gold Coast. So, I thought I would put out a call to some of my fellow Aussie bloggers to share with me what is special about their home towns. I think you will love their answers. Although I have spent the majority of my life living on the Gold Coast in Queensland, Bendigo in Victoria is the place I spent the first 22 years of my life. Like a lot of youngsters I thought Bendigo was a very boring place and couldn’t wait to hightail it out of there for the sunshine and beaches of Queensland. However, on the occasion that I have returned to my home town I can see that Bendigo does in fact hold a lot of appeal. For history buffs it cossets some deep dark secrets from the past, when the town was nothing more than a massive goldfield. During the Victorian Gold Rush, gold diggers from all over the world came to Bendigo to stake their claim. A lot of these people were Chinese Coolies who came to work in the goldfields as cheap labour. Today Bendigo has a rich Chinese heritage. At its height, Bendigo boasted over 70 pubs and you can still see most of the original buildings today that now house offices, shops and restaurants. Apart from this there are heaps of charming old homes and buildings around the city to explore plus beautiful botanical gardens, a fountain, the talking tram, art gallery, Deborah Mine, Bendigo Pottery and Chinese Joss House. But the piece de resistance is the Scared Heart Cathedral pictured here. Olinda is a small town up in the Dandenong Ranges. It is surrounded by forest and has some stunning viewpoints. Olinda is a pretty little place, mostly tourist type shops with a few great cafes in the mix too. Being less than an hours drive from Melbourne, it’s a popular destination. Our home is right opposite the National Park and we can bush walk for hours, walk the dog and ride the horses there too. What I love most about living up here is that we feel secluded and away from the bustle of Melbourne, yet can drive 15 minutes or so and be down in the suburbs… so removed, yet so close to everything a city has to offer. Apart from my travel blog, Wicked Walk About, I also maintain a site dedicated to all the walking trails in the Dandenong Ranges, Explore the Dandenongs! Come visit this region sometime! One of the beautiful walking tracks in Olinda. I grew up in a small country town called Dalwallinu. Never heard of it? Don’t worry most people have never heard of it. Dalwallinu is located 252 kilometres north east of Perth in Western Australia with a population of around 600. Dalwallinu is an Aboriginal word which means a place to wait a while. A wheat and sheep farming town that is also known for it’s wildflowers. From July to October the country side bursts into bloom with a large variety of wildflowers. During this period you will also notice the vibrant yellow wattle trees along the side of the road. What I love the most about my home town is the strong community spirit. People are always willing to help others out especially in a time of need. This is Petrudor Rocks near Dalwallinu. How amazing does it look! The best thing about living in Bunbury is its superb location on the coast only 180 kilometres, an easy two hour drive, south of Perth, and within easy reach of the tourist meccas of Western Australia’s south west corner. 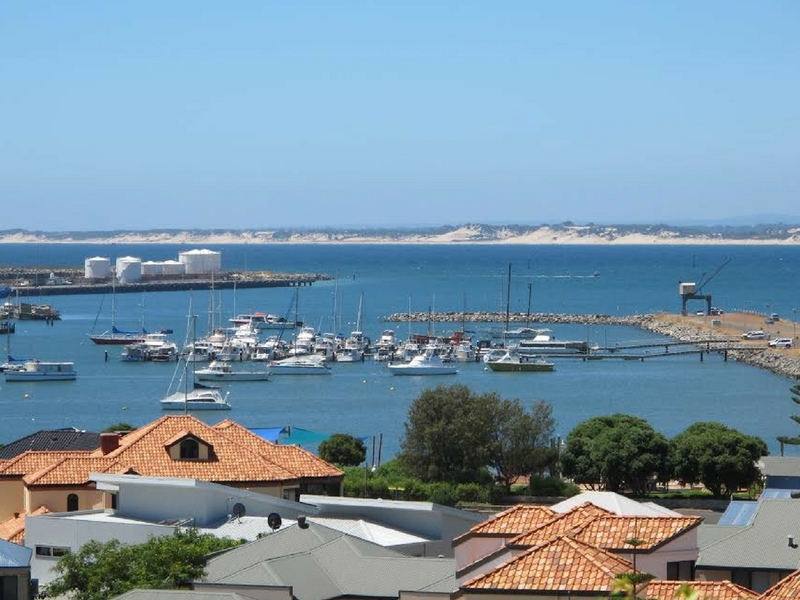 Settled in 1830, the port city of Bunbury is becoming a tourist destination in its own right with a Mediterranean climate and attractions, activities and accommodation to suit everyone. 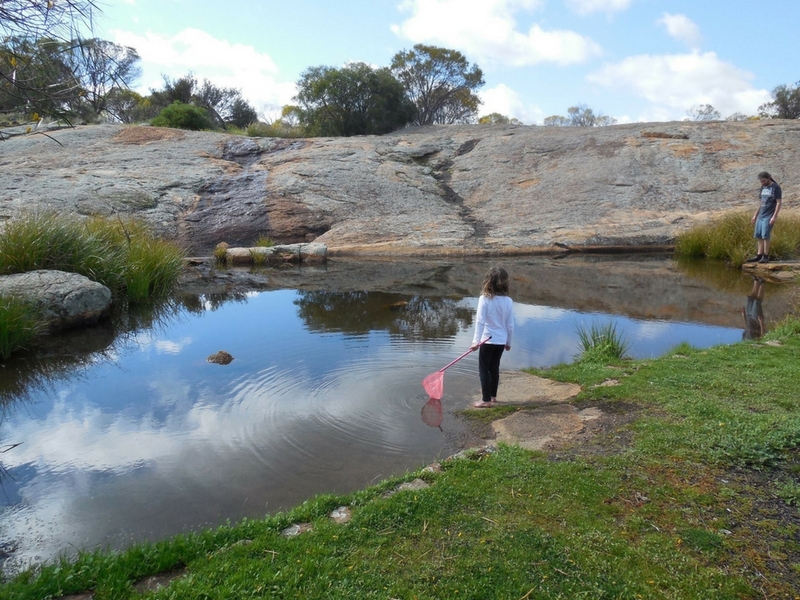 Known as the City of Three Waters, Bunbury is almost surrounded by water, the Indian Ocean, Koombana Bay and the Leschenault Inlet, offering a variety of water based recreational opportunities. Bunbury is well known for the wild bottle nose dolphins that often swim close to the beach at Koombana Bay. There is also plenty of history to absorb, art galleries to visit, or enjoy a day at the races. Eating out is easy along the bustling cappuccino strip or the waterfront precinct, and in the evening dine at one of the city’s many quality restaurants, enjoy live music, vibrant nightlife or take in a show at the Bunbury Entertainment Centre. The arts are also well in reach of everyone with changing displays at the Bunbury Regional Art Gallery, and through the colourful street art that now cloaks many of Bunbury’s buildings. Bunbury in W.A is often referred to as the City of Three Waters. by Marion Halliday from Redz Australia – author of Australia’s quirkiest travel guide Aussie Loos With Views! 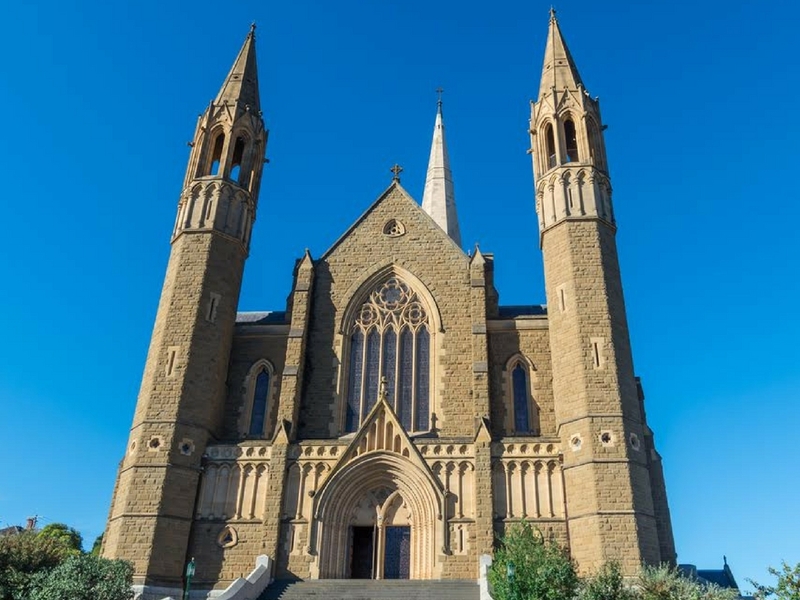 ‘Adelaide’s a nice place to go – for lunch!’ Sydneysiders and Melbournians would say, making fun of South Australia’s smaller, more provincial capital city, Adelaide. Well, the joke’s on them because Adelaide really IS a good place to go for lunch! And having lunch goes with each of my TOP 5 attractions in the place I’ve called home for – well, never mind how long! #1 Explore Wine Regions … Barossa (80), Clare Valley (30), McLaren Vale and the Fleurieu Peninsula (100), Adelaide Hills (50). Sound familiar? Those numbers are cellar doors so you shouldn’t have any trouble finding something to drink – or eat! #2 Pig Out at Adelaide Central Market … but only if you want fresh, regional produce with local and international influences from over 80 stalls, cafes and restaurants! All under one roof and in the CBD. SO convenient! #3 Enter the Secret World of Plants … at one (or all three!) South Aussie Botanic Gardens. Take your pick from gorgeous gardens in the CBD; suburban Blackwood; or Mount Lofty, Adelaide’s highest mountain. #4 Talk to the Animals … nearly 300 species at Adelaide Zoo – yes, it’s in the CBD – or head for the hills and Monarto Open Range Zoo or Cleland and Gorge Wildlife Parks. And that’s just for starters! 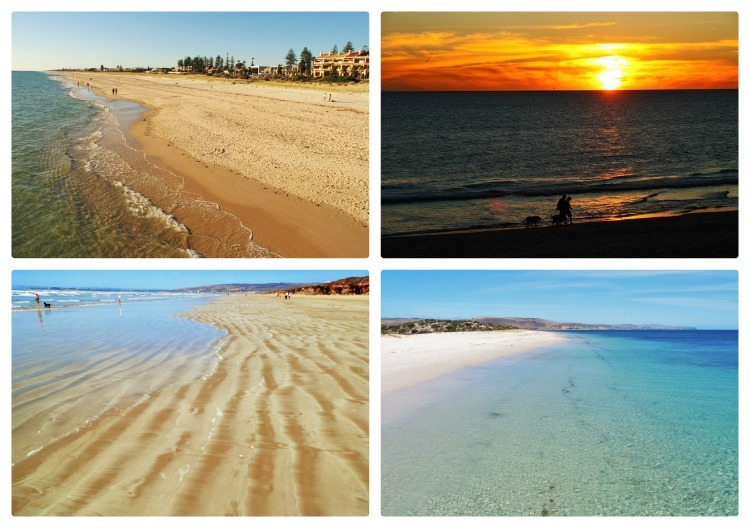 #5 Go to the Beach … and see Adelaide’s stunning coastline for yourself! Fish and Chips, anyone? I was born in Coffs Harbour where my grandparents had a large banana plantation and also Banana Coast Brickworks. It is a place that feels like home to me although I grew up in North Queensland, returning every year to visit family. There are so many must see attractions in and around the Coffs Harbour area such as the heritage rainforest, the surf beaches, the Butterfly House, white water rafting and much more. However, the iconic ‘Big Banana’ is what tourists flock to every year. The tourist stop also pays homage to the banana with its famous chocolate dipped, frozen bananas also offering rides and many other attractions at the park. Coffs Harbour is surrounded by banana plantations and has a large Indian ethnic community mostly running the plantations. In support of the large Indian community, a yearly ‘Curry Festival’ is held in nearby Woolgoolga bringing large crowds to indulge in the festivities and taste the curries on offer. One of my favourite places in Coffs Harbour is the Porpoise Pools, now known as Dolphin Marine Magic. 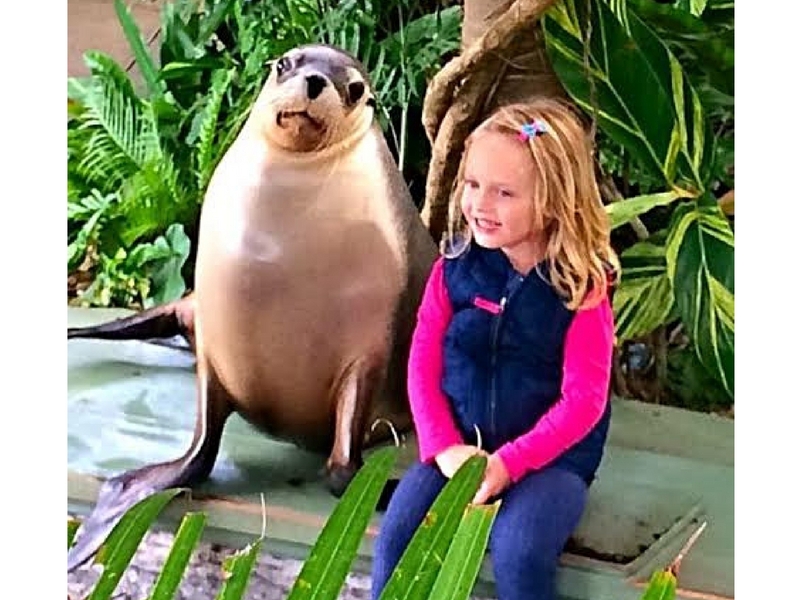 Offering interactive dolphin and seal shows where you get up close and personal with the playful sea animals. There are plenty of photo opportunities with the seals and dolphins giving a kiss on your cheek. Book your magical encounter with the dolphins where you swim with the dolphins, creating memories to last a lifetime. With so much to do, Coffs Harbour is the perfect holiday spot for young families. Dolphin Marine Magic is the perfect place to get up close and personal with dolphins and seals. Whilst not my original hometown I now proudly call Springfield Lakes my home and have done so for the past 6 years. Springfield Lakes is located about 35 kilometres west of Brisbane. Orion Lagoon – One of the best things about Springfield Lakes would have to be the Orion Lagoon. This huge area is full of swimming pools, streams, rock pools and BBQ areas. For at least half of the year this area is packed full of families cooling down in the water and getting together with friends and family. It is completely free too! Orion Shopping Centre – We have one of the best shopping centres in Brisbane complete with an entertainment precinct including movies and plenty of restaurants to choose from. Located right next to the Orion Lagoon so many families combine the two for a great day out. Robelle Park Lands – Gorgeous green park lands, including many hideaway spots for a picnic with family and friends as well as a café for the adults and water play area for the kids. The park lands are also the location for several free family fun days. These are held throughout the year and include the annual Christmas Carols which is a popular event every year. Community Groups – the area is full of various groups like playgroups, walking groups, yoga, cross training, business groups, church groups, water polo, you name it we have a group for it. These groups are great way to make friends in the community. There are also a number of online Facebook groups that you can join up to and know exactly what is going in in the community. Springfield Lakes has the best community vibe I have ever come across. Everyone looks out for each other and supports one another. That is some of the reasons I love Springfield Lakes. 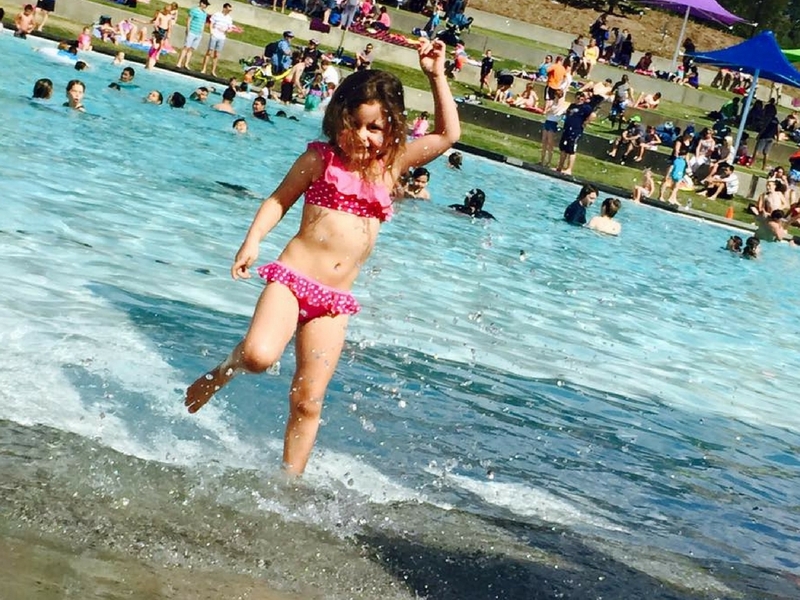 Orion Pools at Springfield Lakes is a popular spot for families to cool off. I was once a born and bred city slicker, but more recently I have recreated myself as a country gal. The old gold mining town of Gympie is my adopted home, well a property 11 kilometres out of town is, just to split hairs. Not many Queenslander’s realise how grateful they should be to dear old Gympie. For without a major gold strike here in 1867 we would have become part of, gasp, faint, deep horror, New South Wales. Situated two hours or so, traffic willing, north of our sun burnt capital Brisbane, Gympie is a perfect weekend escape for big city folk tired of beaches. These days Gympie is better known for friendly locals, history, organic crops and welcoming country hospitality than gold. Jacarandas in full bloom in Gympie. How many of these towns have you visited or would like to visit? These spots are stunning, Melissa and Brenden! Can’t wait to visit each one of them! Thanks Agness…..we think they’re pretty good too! I agree Jo….insider knowledge gives you a special insight into a place. Thank you so much for including me in this great line up. I’m looking forward to visiting some of these destinations. Thanks for sharing with us Jill. I am now looking forward to visiting Bunbury one day soon. Out of that list I’ve only been to Coffs Harbour! A great list of places that may not normally be on the tourist map but are definitely worth seeing. Love Coffs Harbour! Looking forward to visiting some of the other towns in the near future. Great idea getting others to share their favourite places too. I have visited Gympie only from this list! Thanks for linking up #lifethisweek. Denyse PS forgot..Coffs Harbour quite a few times! I’ve been to both Gympie and Coffs Harbour and have added all the other towns to my list. I especially liked the sound of Olinda and Dalwallinu. How great is this?? Like some of the others, there’s a few places I could have written about – so interesting to read about the specialties in each place! Lots of new destinations for me to visit too! I love it! That was so much fun to read. I’ve been to Coffs Harbour, Adelaide, and Bendigo… so now have a few other places to visit too! I’ve definitely got Olinda and some bush walks on my list too! So many great places that I haven’t seen yet. I haven’t even come close to visiting them all yet…..but they have certainly all been added to my ever growing list. Thanks for joining in Kathy!